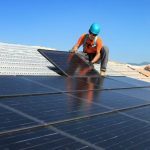 A new report by the Southern Environmental Law Center highlights restrictive solar policies at Blue Ridge Energy. 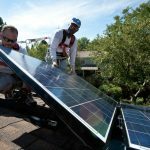 A new report shows that Blue Ride Energy has some of the worst solar policies in the Southeast. 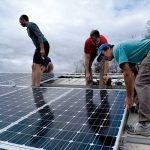 That’s why we created a petition calling on Blue Ridge to support solar access and increase the cooperative’s transparency with its member-owners. 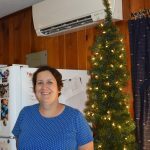 Amy Cook of Boone, N.C., recently received energy-saving home improvements through our High Country Home Energy Makeover Contest. The contest highlighted the need for affordable weatherization programs. 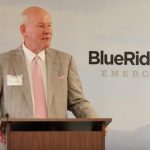 Blue Ridge Energy: An uncooperative cooperative? As a resident of the North Carolina High Country and a member of Blue Ridge Energy, Appalachian Voices’ Rory McIlmoil believes the co-op can and must do better by its members. 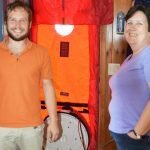 We are delighted to announce the five finalists in our High Country Home Energy Makeover Contest, who all received a free energy audit on their home. The grand prize winner will be announced soon. 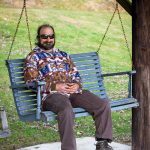 In Alleghany County, N.C., Christian Lannie used Blue Ridge Energy’s Energy SAVER loan program to finance home upgrades that make his family’s home more comfortable in the winter while lowering electric bills.